There's been some weird game trailers lately. In a downright terrifying ad for the Xbox One, we saw a man get real cuts from playing Ryse: Son of Rome, and now it's time to bring abduction onto the field. 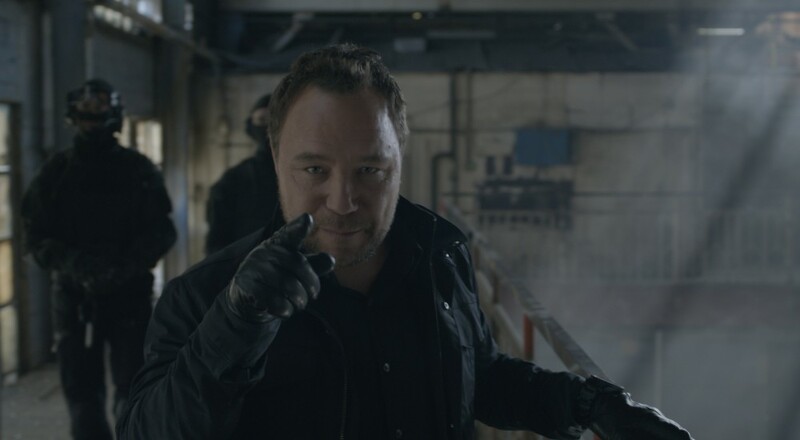 Call of Duty: Ghosts' new Onslaught DLC has received a trailer titled CODnapped, where Stephen Graham, most recently recognized for his work as Al Capone in HBO's Boardwalk Empire, leads a team of gentlemen who basically will kidnap (or CODnap) you so you have time to play the new DLC. If you think the trailer is weird, you're not the only one. The ad, albeit creative, basically produces a fictional way in which you can not only play the game, but also get the people in your life to care more about you when you return. We know it's all fake, but really? Interestingly, six males are CODnapped in the trailer, but no females. It doesn't even look like there are females on the extraction team. This is different than previous Call of Duty trailers we've seen, featuring "players" of both sexes. The Onslaught DLC features four new maps, a new weapon, a new episode for "Extinction," and arrives first on Xbox One and Xbox 360 with other platforms to follow. Page created in 0.3026 seconds.